The Book Excerpt of the Week deals with TAURINE. This is a very common energy drink ingredients, but have you ever wondered what it does? In my book, I review the What It Is/What It Does/How Much Do I Need for the most common energy drink ingredients. 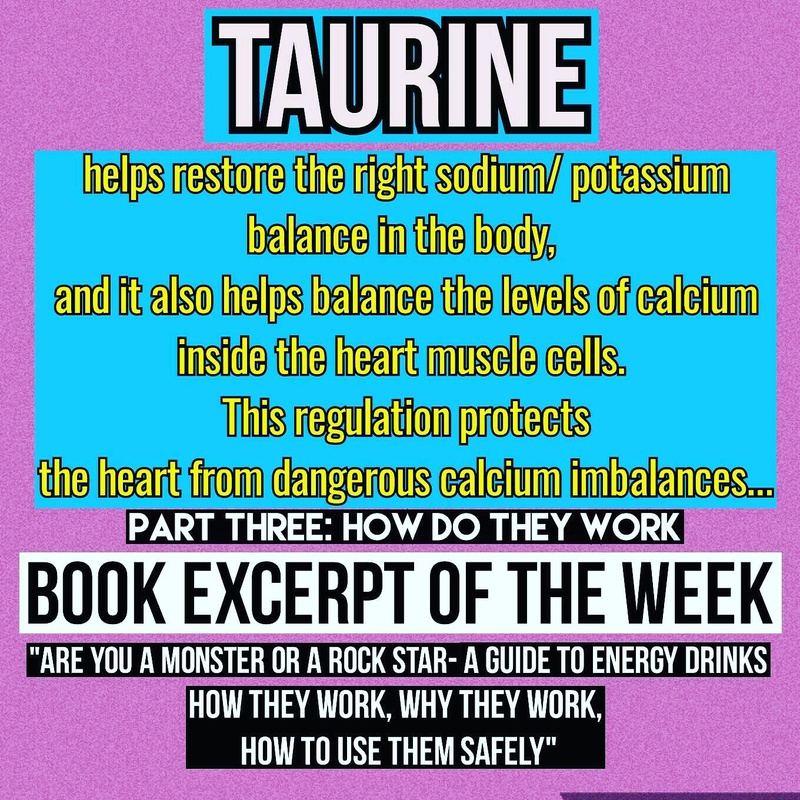 Taurine has multiple functions (see last week’s excerpt). One of the things it does is control ion balances (ions like sodium, potassium, calcium). Taurine can help with bloating because taurine helps the body restore the ideal balance of sodium and potassium, reducing water retention. Taurine also helps restore the balance of calcium ions inside heart muscle cells. Calcium imbalances can lead to cell death and heart muscle damage. Does this mean an energy drink is good for the heart? No. An energy drink contains many ingredients, so the functions of all those ingredients has to be considered.